This drop down menu made with CSS only is a horizontal menu with sub-tabs and a rounded search bar on the right side. A menu like this can be handy for users who don't need complex menus or prefer not to use one that requires scripts and/or too many images. Also, the installation and customization is quite easy and, to top it off, it is quite functional. Remove the code in red. You may have many parts as the one in red, delete all you find. Remove all the code you find after this annotation until you see the Headings part. After doing this, we can finally add our menu. Step 2. After adding the code, click the "Save Template" button. - replace the text in blue and red with your links and titles. And that's it... Now "Save" your Widget and enjoy this new CSS drop down menu! Super cool menu bar. But how do you make the gap smaller between the menu bar and the date field in the (post)? Increase/decrease the "-50px" value depending on your needs. Added this and it looks great! Quick question though when I hover over the menu the drop down opens but the drop down box isn't fully square. On the right it flows into the next menu title. Does this make sense?! Also is there a way of placing the menu above my header instead of underneath. Ideally I would like it to be top right. Tried doing this in the layout section of blogger but doesn't allow it. I absolutely love this blog. It's people like me that aren't very confident with HTML which it's great for. Your explanations are always so clear. Thank you! 1. Sorry but I don't see where's the issue, could you please make a screenshot? 3. For adding the menu above the header, please refer to this tutorial. Hi, thanks for the tutorial. My new navigation bar is indented slightly though. How do I get it left aligned with my page title, blog post box, etc?? The "-15px" value represents the distance from the right side (if you add a bigger value, it will move to the right). thanks for this widget, by the way a saw your blog not using pages widget. can you please make a tutorial about modifying default pages on blogger? Thanks! Only problem is my blogs don't show the child menu's when it's put under the header widget. It shows them when in the footer or sidebar, but not at the top. It's like it's hidden behind the blog. :( ..what should i do? Try to find the 1st line /* Tabs and delete the code until you reach to /* Columns, THEN replace it with the one above. Don't forget to make a backup first. Hope this will work for you. this site admin this site write this (go to blogger and temple and edit html then press (CTRL + F) and and search for the following line) edit html ctrl F press and search your desied word this search are do not work you have to do copy all html in edit html and paste it micro soft word then press ctrl F and you find you desied word edit html ctrl F a search do not you have to search manually line by line html in edit html ar html .....you know language bangla or hindi. i best write bangla language. Go to Edit HTML >> Then Struck Ctrl + F and then Type Only Tabs. Press Enter if you are not able to find it, then Enter continuosly watching and tracking the words like /* Tabs. Then You will got this. "Great tips for bloggers. These tips are really very helpful and i will definitely apply them on my blogs. I don't understand which parts in red you're supposed to delete. Could you be more specific? I tried a few variations but nothing is working. All the submenus are all everywhere on the top, open, and without any styling. Increase or decrease the -50px value to change the distance. ALSO remove the padding-top: 35px; declaration from below. How can I add content to the submenus? This menu is great, thanks so much for the thorough tutorial. 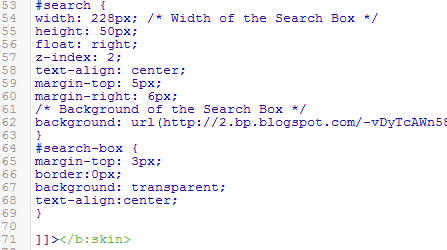 The only thing I'm having trouble with is that I'd like to size the width to be the same size as the blog header image, but when I try changing some of the code that I thought would do that, the only thing I seem able to do is get your search bar to extend horizontally out to the right, I cant get it to adjust to be the same size as the image (see here: http://ppromstories.blogspot.com/) Any advice? Where "-50px" is the distance from the left - you could also modify this value to be in line with your header. Perfect! Thanks! I used the px and wound up having to move the margin -30 px to the left but now its all aligned. You are a miracle worker!! LAtest and stylish drop down menu. Just want to say your article is as astonishing. :) The clarity in your post is just great and i can assume you're an expert on this subject. hi! great post over there...well, I just want to ask on how to move the search bar on the right side....because it appears to me on the middle...thanks! In some places, large chunks of code have been compressed into "..." and I've even expanded those and searched, but still nothing. Why is this? Is there anything I can do? how to remove the Leaf? Thank you so much. I cannot tell you how you helped me. I wished this drop down list in my blog and your help made my wish true. hey,my submenus are not displaying..
Greetings. New to blogging and desinging. (not a programmer). I used a drop down menu coding but code not get the desired result as the drop down menu is not completely displaying below the Lead Title. Please check it on my website and respond me. hello there, can anybody help me? I confuse of which red part should I remove? there's a darker red and there's also a light red colors in it. So which of them should I remove? It is too good. But how to add another link on the menu panel. This has worked perfectly for my website! Thank you so much! My menu's background color is not the right one. What can I do? Is there an option to remove the leaf picture from the end???? As it is not matching with my website layout..
And change the height to be of 30px. thnx for the nice post ......... :) by the way, i have a question..... can you please help me how to add sub-menu to my navigation bar using html ? without changing my navigation bar ? plz suggest ..... see my navigation bar here is my blog :: www.pcfunkies.blogspot.in ....... Thank You ! Thank you for helping me so much! A biiiiig hug for you! I hav a doubt though, the search box searches only the labels and displays or some other method? It will show all posts containing that specific keyword that you're looking for. You're welcome! I don't think I'm deleting the correct "red" code in the beginning. My HTML customization box stays all jumbled up on the right sidebar while my pages bar becomes a tiny bulleted list underneath the blog header. Also, any time I try to delete the "red" code an error comes up saying i need a quote for my code HTML attribute or I'm missing and "id". Please help me figure out exactly what to delete. Thanks. 1- I have a gap between the menu bar and where the content for the post starts; I like to mention that I saw your reply to "Steven Scaffardi" which had silimar problem, but it didn't workout for me ! 2- I have a photo slider in center column, but the problem is when I try to go to sub-menus, it appear under that photo slider ! I don't know how I am able to fix it ! would you please help me with that, too. thanks. Here you can see a screenshot of the issue, I hope it help better understanding. I am Pirath. I would like to say thank to you for a great drop down manu. I want to put my drop down menu to fit with the header photo. On the left side is not fit to header photo. Could you please tell me how make it fit? Hi, drop down menu is not working on me, can you help me on how to fix this problem?